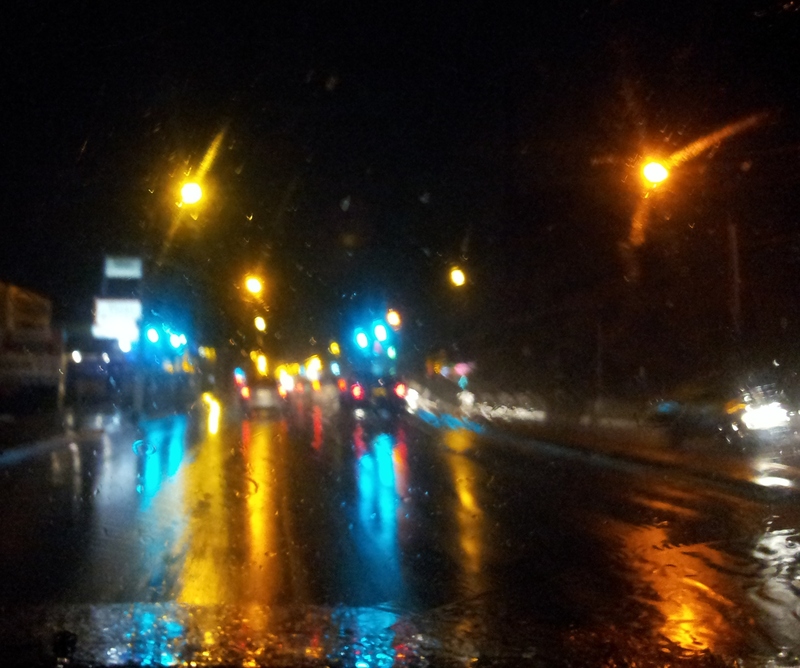 Have you ever noticed how colourful it is when you’re driving at night, and it’s raining? I have distinct memories of driving home from my Grandparents’ house as a child; sitting sleepily in the backseat, looking out the windows to see colour streaked across the road in oily rivulets. The cynic will tell you that it’s just the traffic lights, car lights, and street lights reflecting in the water, but what it creates is a vibrant kaleidoscope of night-time colour. The other night, sitting at the intersection I was found myself smiling at its beauty. The colours were reflected in the droplets on the windscreen like a million fairy lights lighting up the road. Have you noticed it? If you haven’t, look for it.